Padded noseband, browband and headpiece for extra comfort. Dapple is a new Irish based equestrian company specialising in elegant and stylish equestrian wear for the discerning horse and rider. They strive to source high quality and superior fabric, together with creativity, innovation and cutting edge design for the horse and rider to enjoy together. 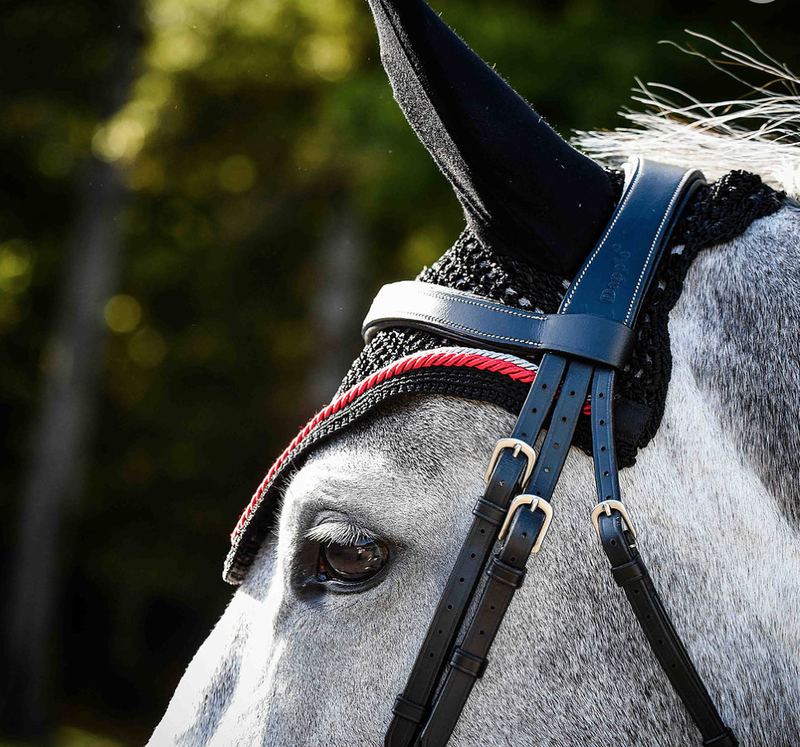 Currently, the range consists of saddle pads, fly veils, soft shell fleece rug, bridles, halters & lead ropes and breastplates with many new and exciting lines in the pipeline for the future. Dapple Equestrian products are fueled by our love of equestrian sports and our passion for horses.